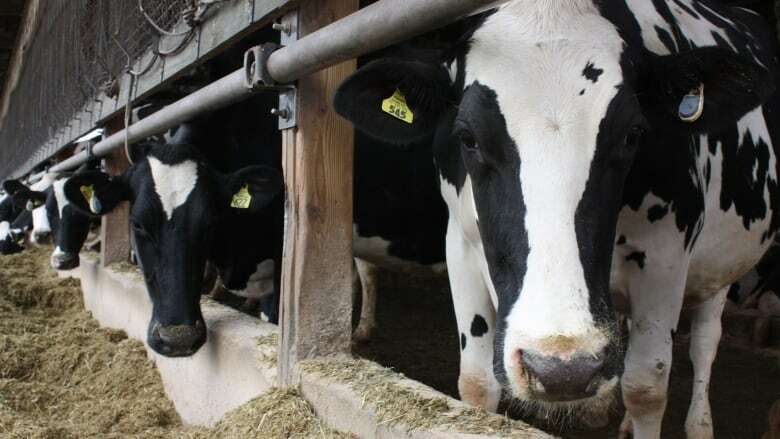 In the wake of U.S. President Donald Trump's comments about Wisconsin dairy farmers being treated unfairly by Canada, people in the dairy industry say the problem is more about overproduction of milk in the state. 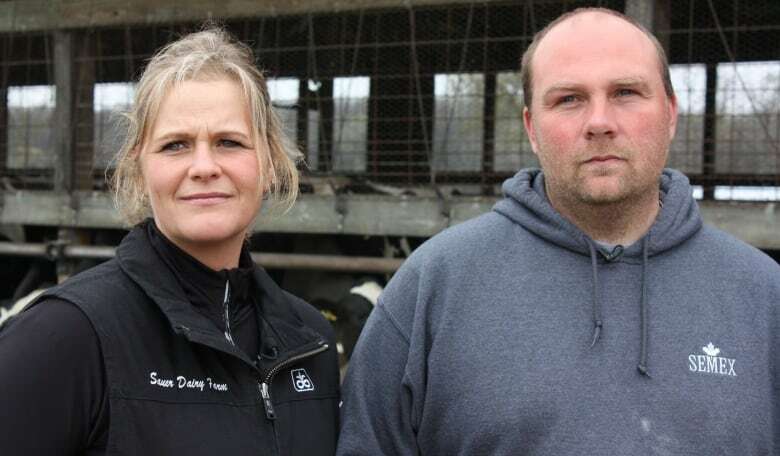 With a single letter mailed from a milk processing company in Wisconsin this month, the Sauer family learned their dream livelihood as third generation dairy farmers was suddenly in jeopardy. The notice, from their milk processing company, told the Sauers their milk was no longer needed because of recent changes in Canada's dairy policies that effectively closed U.S. access to Canada's markets for a product known as ultra-filtered milk. Some of the Sauer family's milk had been used for that purpose by the processor. The family can't sell their milk to other processors because all the milk processors in Wisconsin are operating at capacity. It's a widely held view in the state that there's simply too much milk being produced. That's what's behind U.S. President Donald Trump's claim that Canada is being "very unfair" to Wisconsin dairy farmers. He believes Canadian rules that favour domestic ultrafiltered milk, which is used in production of cheese and other dairy products, are hurting sales for U.S. producers. But Trump's slam of the Canadian dairy system is characterized by many in the state as misguided, because the real issue is broad overproduction. Shane Sauer says his 120-head farm east of Madison and other such small operations have long been led to believe the market for milk was near endless. "Processors have told us for quite a while that they want more milk," he said. "We were told we need to feed the world. So we were just trying to do our part." 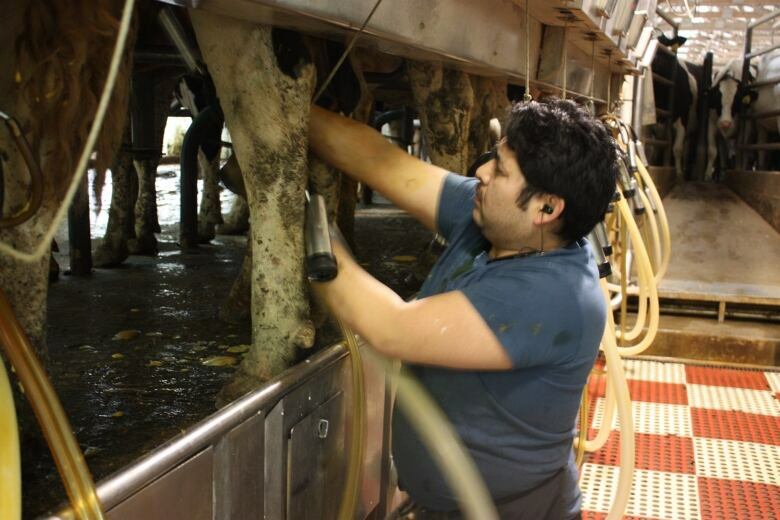 Advances in technology allowed dairy farmers everywhere to produce more milk. "Technology was a double-edged sword," said Jennifer Sauer. "So, it's hard to point the finger at somebody at this point in time." Including at Canada. "We don't blame you," said Shane Sauer. "We just want solutions." Wisconsin alone has more milk cows than in all of Canada. As massive dairy farms continue to produce milk at full speed, helping to keep Wisconsin's milk processors supplied, small family operations have been caught in the squeeze. If the Sauers can't find a buyer for their milk by the end of the month, they may have to leave the dairy industry for good. "And this just breaks our heart," said Jennifer Sauer. "It's not a job for us, it's a lifestyle. It was our parents' and our grandparents' and someday to be our children's lives." 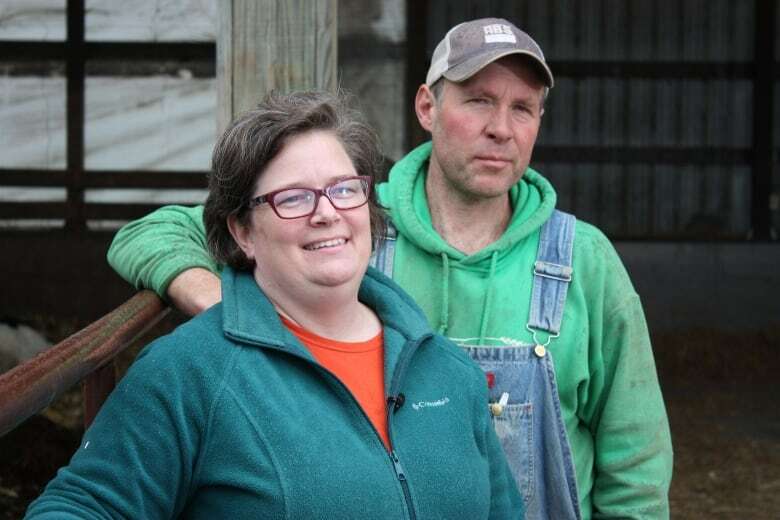 Sarah Lloyd and Nels Nelson, who tend 350 dairy cows on a 400-hectare property northwest of Madison, say their view is that Trump's got it all wrong. Blaming Canada for restricting market access to ultra-filtered milk is missing the real issue facing Wisconsin farmers, they said. "Suddenly, everyone was pointing the finger at Canada, but that's not really what's going on. We have overproduction here in Wisconsin, and we really need to address that here at home," said Lloyd. Small farms, especially, she said, are getting squeezed out, and no one's doing anything about it. "It's not fair, and it doesn't help us to use this kind of a red herring of Canada because we need to solve our problem." How about some supply management? One suggestion from these farmers? Look north, where you might find a solution in the Canadian system of managing the supply of milk. What's Trump's problem with Canada's milk? Does supply management really mean Canadians pay more for milk? "If you look at (Wisconsin's) production trends, we've still been increasing production," Lloyd said. "And the cheese processing and butter processing plants in Wisconsin are getting more and more full of milk. And now, we don't have anywhere else to go with milk, and we would be wise to look at some ways to manage our supply. And we're not doing that right now." Lloyd and Nelson won't go so far as to say the industry should be managed like it is in Canada, but the implication is that the U.S. could do worse than to strive toward something similar. "[Trump can] stand up with bluster and point his finger up at the Canadian border," Lloyd said., "But it doesn't help a dairy farmer here." Trump's pledge to change Canada's dairy policies came as a surprise even to Pam Jahnke, who knows the industry well. 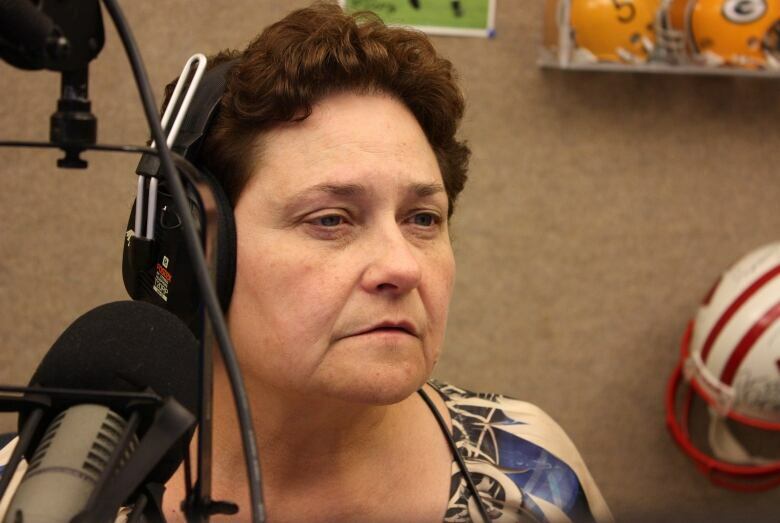 Though she grew up and still works part time on a dairy farm, Jahnke is now Wisconsin's most popular farm broadcaster, known as the Fabulous Farm Babe. "I can count on one hand how many times in my professional career a president has said anything about dairy — from a glass of milk to an actual cow. You just don't hear it," she said. Any matter having to do with dairy farming is huge news in Wisconsin because the industry plays such a big role in the state's economy. 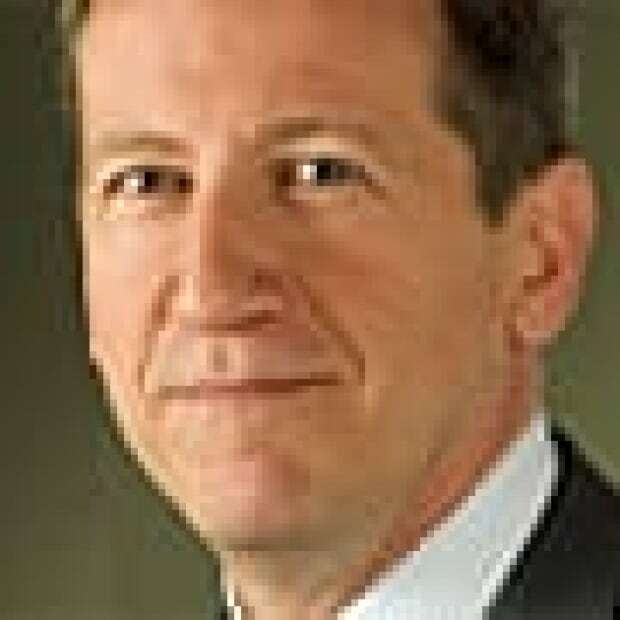 But Jahnke admits the ultra-filtered milk issue affects just fraction of a dairy industry worth some $43 billion US annually to the Wisconsin economy (according to the Wisconsin Milk Marketing Board). Although it's absolutely a critical matter for the farm families directly affected, it's unclear whether anything will come of Trump's comments, Jahnke said. "I'm glad he's aware of it," she said. "Do I expect immediate reaction and action? No. And I don't think any dairy farmer in Wisconsin or anywhere else for that matter expects any action either. This rhetoric could go on for years." Canada is not the problem, says MP Wayne Easter over dairy trade with the U.S.